Brian Jeffreys is a reader, husband, father, technologist (geek), autism advocate, and science fiction/ fantasy writer. He grew up in Yukon, Oklahoma and later moved to Texas. Brian attended a half-dozen universities and colleges until it became clear that a traditional academic environment was not for him. He received his BS in Computer Science from Dallas Baptist University and worked for a fortune 500 technology company for 20 years prior to writing his first novel. He now lives in the North Texas area with his wife, three children (one with autism), and three cats. 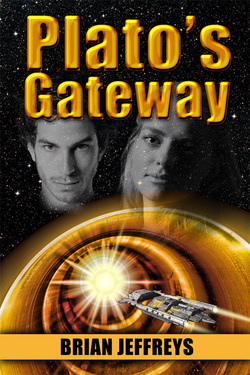 Brian is the author of four novels, including 3 books in the Traci Ganner trilogy, and Plato's Gateway. The Orion Star Cluster locks its fledgling navy in combat with one of the most brilliant Terran admirals in its history. 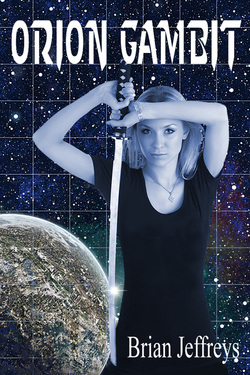 But in a routine pirate patrol, a young cruiser commander named Traci Ganner discovers a race of beings that possesses what the Empire does not--strike fighters! But to unleash them means betraying everyone she knows in order to save everyone she cares for. After her successful campaign as a starship captain (and spy), Traci Ganner had been assigned to Orion's newest cloaking battle cruiser. Now her mission is to make contact with the invading Valdi and negotiate for strike fighter technology. But it won't be easy. Not only do the Valdi have a reason to hate all Terrans, but Traci has her own problems with the Terran Empire, and if they catch her, they will execute her. But Traci is not the type of woman to give up without a fight. 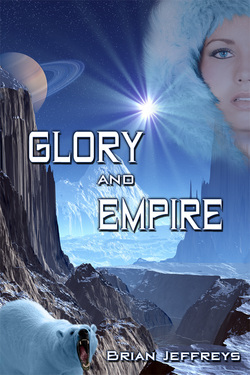 In order for the Orions to ensure that Admiral Scott Pearson ascends the throne, she must sacrifice herself, and her ship, so that he will know the truth about her, and what she has done. 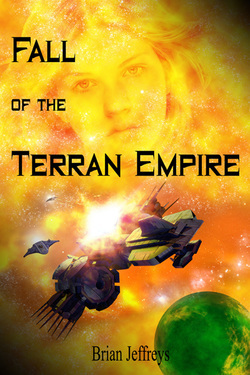 The Terran Empire is in a state of chaos after the successful sack by the Valdi armada. As the Terran fleets struggle to reorganize, First Marshal Scott Pearson led the charge to cut into the enemy flank and stem the tide of reinforcements. With Orion help, he was succeeding, until Captain Traci Ganner interfered--again. But Traci must bring the Terran marshal and the chief Orion councilor together to confront a Terran threat from the future. Facing daunting new technology, Traci finds herself in the clutches of a new Terran enemy and if they force the location of the rift from her, both the Terrans and Orions will be lost. The final book of the Traci Ganner trilogy puts Traci and her officers through their most difficult trials yet and leads Traci to a mystical temple that holds the keys to her very survival. Rebellious star pilot Phillip Barreda just barely scrapes out a living for himself and his handicapped brother, Jerry. But their lives change when they accidentally discover an interstellar gateway at the edge of colonized space where his ship is attacked and disabled. Forced to team up with the ironfisted Space Marshall Amanda Hayes, Phillip and his passengers are soon brought face to face with Dr. Cornelius Plato, a brilliant scientist exiled from earth over four centuries ago who has discovered the secret to immortality. Along the way, Phillip and Amanda learn that the line between sheriff and rouge isn't always well-defined. As they team up and discover how powerful Dr. Plato truly is, an unlikely hero emerges as Jerry discovers that he alone holds the key to stopping the evil doctor.